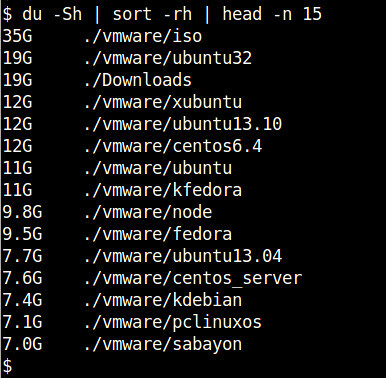 Question: I want to know which files (or directories) consume the largest disk space on my Linux. What is a command line which finds the biggest files or directories? When it comes to checking which files or directories waste your disk space the most, du command is probably the easiest way. 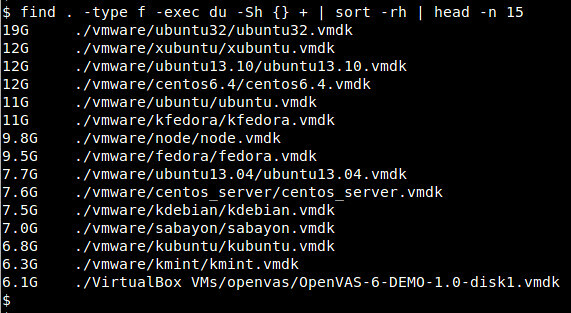 To find the biggest files or directories on Linux, use the following command. The above command will sort all files and sub-directories which exist in the current directory in the order of size (biggest size first), and print the top-15. If you want to find the biggest files only (but not directories), use the following command instead. It will print the top-15 biggest files located in the current directory (and its all sub-directories).